Often considered the number two destination in Vietnam behind taking a Halong Bay cruise, is Sapa. The Northern mountain town is the go to spot for trekking, near immeasurable quantity of rice terraces, and visiting local tribal villages. Of course, visiting Sapa Trekking Tours at any time of the year puts you in for a very high risk of being caught in the frequent rain storms the region enjoys. This shouldn't be a deterrent, as hiking in Sapa was one of my favorite experiences, even if it did require a bit of extra preparation when rainy. 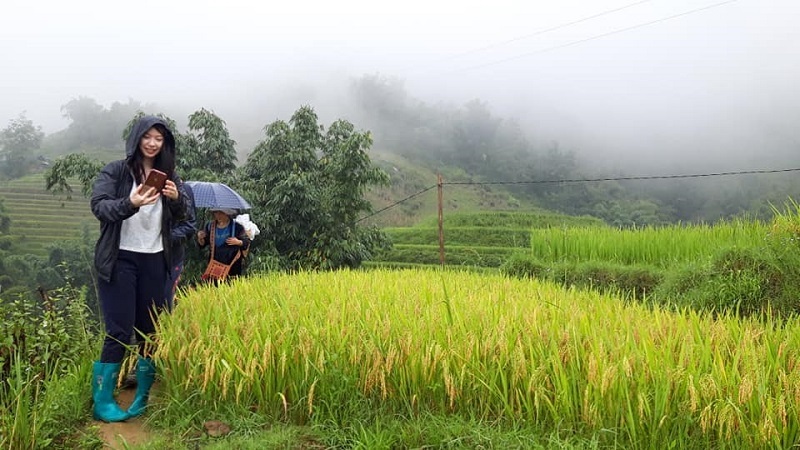 If you are one of the unlucky travelers who visit Sapa during, or within a week after a bad rain storm, you are likely in a statistical majority. Unfortunately, the homestay treks and many one day treks are on steep grades of dirt trails. Our first day of trekking to the homestay was full of uninterrupted showers, producing even muddier trails for the second day of the hike. Almost everyone slipped or fell over at least once, with yours truly falling twice on the second day and getting a fair share of souvenir mud on my belongings. To be prepared, the village shops sell every knock-off item imaginable for all environments. The salesmen and women can be shrewd in the bartering process, especially during inclement weather where essentials will only sell at inflated prices. A nice, reusable double-lined rain coat is a life saver, and full on water boots are a good investment even if just for two days. A Sapa homestay trekking also should be a must for any traveler visiting Sapa, not just for the experience of staying with a local family, but for getting further out in the countryside to see some of the most beautiful parts of the region. The further you can get outside of Sapa village, the more the scenery presents itself, and a homestay provides the opportunity to get there. 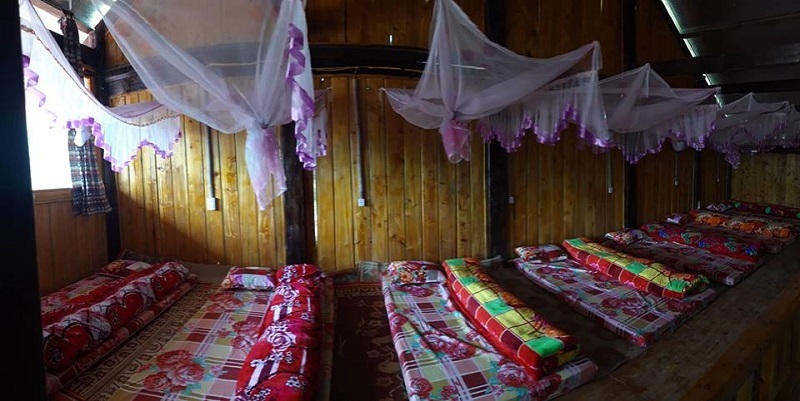 The home itself is most often a glorified dorm room built as an addition to most family homes, and it is said that only those staying in two night homestays can really see a traditional home on the second night. But after 6 hours of trekking, the moderately warm shower and basic amenities are most welcomed on the weary body. All trekkers will likely have their fair share of local villagers who follow them the entire duration of a segment of the hike in hopes of making a sale when reaching their village. These local women become invaluable assistance during bad weather as they point out proper trails, hold hands, and are nothing less than a saving grace for the many of potential falls that could have been. The downside to all of this goes back to their initial goal of making a sale. Upon reaching their village, the woman will often use shameful lines like “I help you, buy from me” to make you buy a cheap bracelet or embroidered item. Of course, if anyone got as much help as I did, a $5 sale/tip is the least you can do, and is graciously received from all the women who receive the tip. Most of them would be grateful for just $2 for helping on a three or more hour hike. Be wary, as other women who see you buying from one person will soon flock to you and throw out lines like “You bought from her but not from me, something small?” and can generally become annoying very quickly. Looking for more things to do in Vietnam? Get a custom suit made in Hoi An or take a mud bath at the Thap Ba Spa in Nha Trang! Vietnam Typical Tours is always willing to offer and assist you in the journey in Vietnam.